Today is my 25th birthday and I’ve had the most wonderful day! After opening my fantastic presents, Nic and I cycled to London fields to swim in the lido. Honestly, this day had everything I love rolled into one, we even cycled into town via Greenwich! 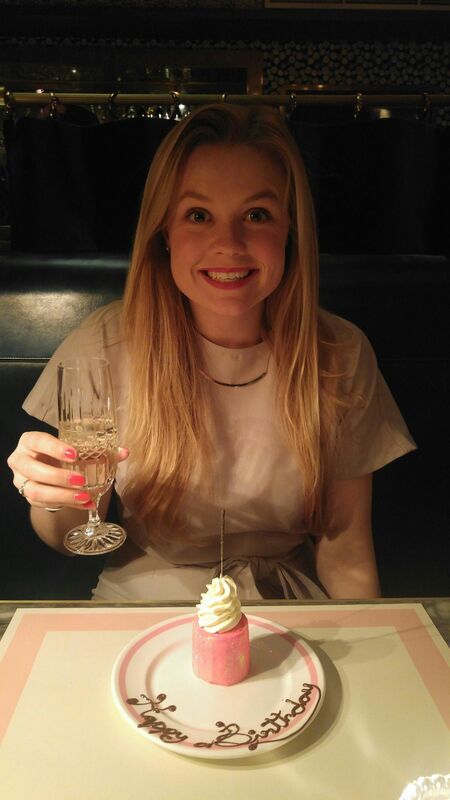 This evening we headed out to Soho where Nic had booked a surprise dinner at Bob Bob Ricard. It was the best meal I’ve ever eaten, they even had a champagne button on every table for prompt champagne delivery. Best. Birthday. Ever.